2019 Market Update: Recovery on the Way? 2019 has started with a bang. Markets have recovered nearly 16% from the lows posted on Christmas Eve of last year as corporate earnings and fundamentals replace media headlines replete with fear, anxiety, and skepticism. Trade Talk: The Plot Thickens...Or Does It? Following the Martin Luther King holiday on Monday, stocks tipped off the week by taking a hit with the Dow falling 300 points. Is 401(k) Plan Consolidation On Your "To-Do" List? With employment turnover at record levels, more and more Americans have multiple 401(k) accounts “floating around” which, in our opinion, is a bad idea for all investors. Stock prices rose during the month, overcoming poor economic reports and volatility in the domestic bond market. Capstone Wealth Management Group is proud to sponsor the 2019 Jefferson Little League Softball Team. Best of Luck, girls! 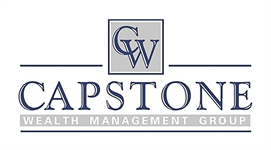 Capstone Wealth Management Group, LLC is a registered investment advisory firm headquartered in Clarks Summit, Pennsylvania but services clients across the entire United States of America. We provide wealth management and financial planning services to individuals, families, business owners, charitable endowments, foundations, corporations and other institutions. Through our affiliation with LPL Financial, we have access to independent research and resources that allow us to impartially recommend investment products and services to our clients. As a result, there are no conflicts of interest that exist when we provide advice. Additionally, our compensation is not tied to any revenue-sharing agreements, but, rather, it is tied to the performance and value of our clients' investment accounts. At Capstone Wealth Management Group, LLC, we view wealth management in terms of the advice and services that we provide, rather than in terms of a product being sold. The services that we provide include, but are not limited to, investment planning, retirement income planning, education funding, insurance and risk analysis, tax planning and estate planning. These services are offered to all of our clients regardless of the monetary value of the accounts that we manage on their behalf. We implement a multi-step process when providing services to clients and that process begins with a "financial mission". Once that mission is identified and embraced, we consider all relevant environmental information and use objective analysis along with rational judgment to make effective, responsible and sufficient financial planning decisions. Securities offered through LPL Financial, Member FINRA/SIPC. Investment advice offered through Capstone Wealth Management Group, LLC, a registered investment advisor and separate entity from LPL Financial. The LPL Financial representatives associated with this website may discuss and/or transact securities business only with residents of the following states: AR, CO, FL, GA, IN, MD, MO, NV, NY, NC, OR, PA, SC, TX, VA.